The iconic anchor of The O'Reilly Factor recounts one of the most dramatic stories in American history—how one gunshot changed the country forever. In the spring of 1865, the bloody saga of America's Civil War finally comes to an end after a series of increasingly harrowing battles. President Abraham Lincoln's generous terms for Robert E. Lee's surrender are devised to fulfill Lincoln's dream of healing a divided nation, with the former Confederates allowed to reintegrate into American society. But one man and his band of murderous accomplices, perhaps reaching into the highest ranks of the U.S. government, are not appeased. Bill O'Reilly is a trailblazing TV journalist who has experienced unprecedented success on cable news and in writing thirteen national number-one bestselling nonfiction books. There are currently more than 17 million books in the Killing series in print. He lives in Long Island. Martin Dugard is the New York Times bestselling author of several books of history. He and his wife live in Southern California with their three sons. 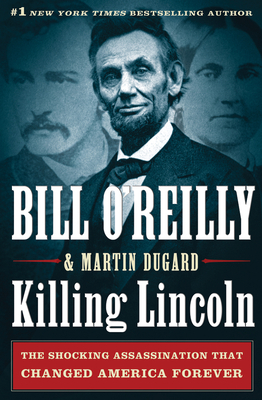 With Bill O'Reilly, Martin is the coauthor of the Killing series books, including Killing Lincoln, Killing Kennedy, and Killing Jesus.